BULMINWEX – GB EOOD. is the first company in Bulgaria for bottling of mineral water from GORNA BANIA Spring, Well No 3 bearing the commercial name of "GORNA BANIA 1". The company was incorporated in 1958 and it is property of the Central Cooperative Union. See our certificates for quality, management and safety. Bottling line of mineral water "Gorna Bania 1"
1. Production and bottling of 5 to 12 litres bottles. 3. Production and bottling of natural and sparkling water bottles of 0.1 to 3 litres. 4. Robot palletizer for 0.1 to 19 litres bottles. The output of the new production lines is consistent with the experience and practice of leading European and global brands in the industry. COOPERATIVE TEA "There is a herb for every pain"
According to research, tea is the most widely spread drink in the world after water. In line with this trend, as of 2018 Bulminwex - GB has expanded its business and added a new range of products to its portfolio, namely a wide assortment of tea. The plant has installed high-tech tea packaging equipment . It is important to know that collecting and preserving herbs in a way that makes them fit for use is of utmost importance. Each plant has its picking period, and various parts of it contain a different amount of active ingredients. Herbs used in the production of co-operative tea are purchased only from environmentally clean areas, by competent specialists and they are controlled in modern well-equipped laboratories. Nowadays nearly a billion and a half cups of tea are consumed, as many people have come to the right conclusion that the drink which has conquered the world so quickly definitely deserves a lot of attention. The history of cooperative tea starts with the fascinating memories of our ancestors. A group of co-operators, who were famous for their knowledge of herbs and their skills to combine them to create healing teas, began to pack small quantities and sell them. Because of the unique qualities of the Bulgarian herbs and their right combination, their business thrived ... ... 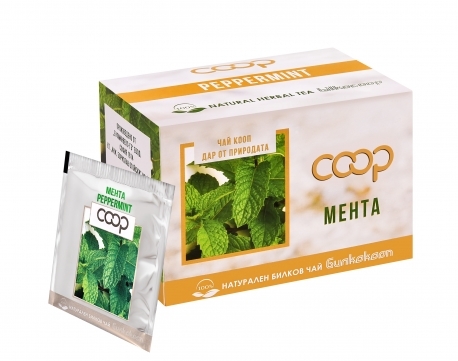 Thus, in 1949, the cooperative company BILKOCOOP for the production and packaging of high-quality teas was established. Over the years, the BILKOPOOP brand has gained a large market share in the country. The main business partners of the company are the big retail chains Fantastico, Kaufland, BILLA and many others. The goals of Bulminwex - GB EOOD are to continue to develop and expand the range of drinks offered so that it would enter the home of every connoisseur of good taste. 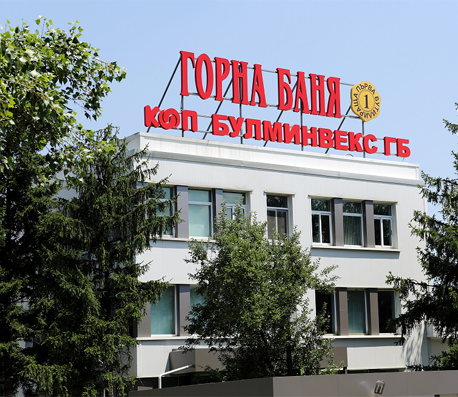 "Gorna Bania" natural mineral water source is in the area of drilling №3, and the water is brought to the plant via direct pipeline connection. 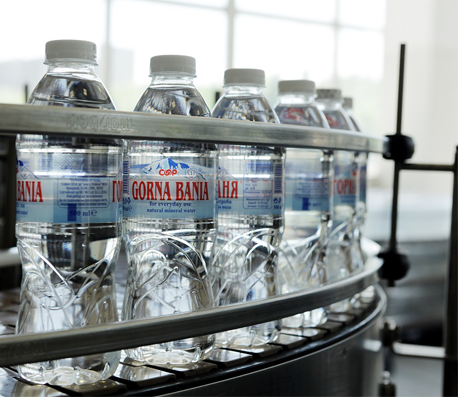 "Gorna Bania" natural mineral water is bottled in premises compliant with the requirements of Regulation №5 of the Ministry of Health and the Ministry of Agriculture and Forestry of 25.05.2006, and technological equipment compliant with the requirements of the Machinery Directive 2006/42/EC. The company has put in place a quality control system compliant with the good manufacturing practice and has implemented integrated ISO 9001: 2008 and FSSC 22000: 2010 systems.